Doc Searls has a very thorough and thoughtful commentary on the Grokster ruling at IT Garage. Memo to David Pogue: We're Geeks! Back when I started computing, I used Fortran on an IBM 370 and timesharing via an IBM Selectric-like teletype. Many users--one computer. At that same time, I got my first taste of microcomputers, what we'd call personal computers now, by building a MITS Altair with an 8080 CPU and 4K of RAM for the College of Mines (my undegrad is in Metallurgical Engineering). One user--one computer. Now, of course, I routinely carry 4 or 5 computers around with me all the time (if you count things like my iPod and Canon S500) and I'm dependent on computers being everywhere. Content Watch is looking for a Quality Assurance Manager. Doug Kaye wrote to ask me about OpenID.net. I actually don't remember having ever seen it before, but it looks kind of cool. in OpenID, identities are just validated URLs--nothing more, nothing less. All the system does is say that you own a particular URL. I like the idea of a distributed identity system without any single points of failure. Glancing at the OpenID Wiki, it looks like there still quite a bit to do to make it all work. I'll have to dig into this sometime when I've got a bit of time. I'm sitting here working and my eight-year old asks "Dad, where's the control panel?" He's on the iMac G5. I didn't think he could possible be asking about the real control panel, so I asked "why?" He says "the mouse is too slow, I want to speed it up." I showed him where the system preferences are. It blows my mind that my eight year old knows you can change the mouse speed in the control panel. I just ran across Squarespace, a hosted blogging tool. Their example sites look pretty good. If you're interested in exploring InfoCard, Microsoft's implementation of the identity metasystem proposed by Kim Cameron, Andy Harjanto has detailed instructions on how to get started. I registered for OSCON today. I'll see you there. I'm hoping we can do an identity meta system BOF there and discuss open source opportunities in the metasystem Microsoft is proposing. A presentation by Yaniv Shaked and Avishai Wool of Tel Aviv University at MobiSys2005 showed how Bluetooth devices can be hacked, even with security enabled, in 0.6 seconds. A story at TechWeb gives some details and the full paper is also available. It's a real shame that things like Bluetooth are aren't designed with better security in mind from the start. It's just getting some traction and the convenience is unbelievable. N9472C in the air. An old friend of mine from Southern California was in town the last few days to buy a plane. He bought a Piper Archer from a guy in Montana. Yesterday Steve Fulling and I flew with him down to Richfield to have breakfast and see him off on his trip back home. I was riding shotgun with Kevin, so I got some great shots of our plane in the air. On the way home, we flew over the eastern shoreline of Utah Lake behind West Mountain. Lots of fun. Yesterday I published an article at Between the Lines called Staying Out of the News that describes some things IT shops can do to reduce the risk that they'll end up in an embarrassing situation where they've lost personally identifying information for their customers. The most recent Baseline has an in-depth look at ChoicePoint the company that sold information on 35,000 people to a fake business out of Nigeria. Good reading if you've a strong stomach. Speaking of Eric Norlin, I just found out from Eric that DIDW is going to do a Financial Services Identity Summit in NYC in November. Very good. Eric Norlin asks whether anyone else believes "Joe Sixpack in Ogallala, Nebraska [will whip] out his USB token to encrypt and secure his online banking transaction." This is in response to recent comments by Dave Steeves of Microsoft on using USB security tokens to secure online transactions. Eric, for the record, I'm with you. Further, I'm wondering whether the security of online transactions is even that big of a deal at present. Phishing, pharming, and Spam fraud seem to be much more likely to separate Joe Sixpack from his dinero. John Gotze wrote to point me at one of his student's blogs. Rasmus Knippel is studying where service oriented architectures fit inside enterprise architectures and so his blog is called Service Oriented Enterprise Architecture. Ed McGarr, a friend who works at Senforce, wrote to tell me that they're sponsoring a free wi-fi and remote connections security presentation next Tuesday from 12:30-3:30pm in Draper. Send a note to Nick Gordon if you'd like more information. A recent post by Don Park about a girl who refused to clean up after her dog and was "outted" by a camera phone totting netizen shows that Scott McNealy may have been right when he said "You have zero privacy anyway, get over it." The girl is apparently being hounded in a nationwide witch hunt. Neil McAllister's column at InfoWorld on RedHat's challenge to Novell with its open source directory product reminded me that I've been meaning to mention Geoffrey Moore's talk at the OSBC called Open Source has Crossed the Chasm...Now What? Neil talks about how companies are replacing non-differentiating pieces of their product offerings with open source. This is just what Moore was talking about, although he takes it a step further and discusses why it's a good thing. I just generated a Movabletype template to create a Google XML sitemap for Technometria and UtahPolitics.org. It was very simple, following the instructions from Niall Kennedy. The only thing I did differently was to use this URL to enter the URL of my sitemap. You can enter multiple URLs and see a status report. The server move went off without a hitch. This time I was smart enough to change all the network configuration information before I took it down, so when it rebooted it was online and ready to go. Please let me know if you experience any weirdness. I'll be moving the server that hosts Technometria and UtahPolitics.org tomorrow morning between 8:30 and 10:00am MDT. Hopefully the downtime will be short. Doc has asked some great questions about whether RESTful equivalents of the InfoCard SOAP-based interfaces are possible. I responded at Between the Lines that I thought it was possible. The problems, however are political, not technical. Meanwhile Jon Udell is wondering whether we need InfoCard at all. I don't think the Web needs it, but I think companies do. Whether that means people need it or not, however is an open question. The next version of Office (for Windows and Macs) will support and XML file format as the default. Scoble has an interview with Brian Jones at Channel 9 that's worth listening to. Brian says that the majority of corrupt files that get sent to the Office team for review have been corrupted by third party applications. This would make life easier for those third party applications. What's more, new applications will be easier to write. Dan Farber also has some additional information, including how to get a preview, at Between the Lines. John Dougall, VP of Technology at WaveTronix and one of Utah's most technically astute legislators has a new blog called Dynamic Range. There are entries on politics, technology, and transportation--John's three favorite topics. If you've got an interest in Utah politics, I think you'll enjoy John's perspective. I reported the browser usage on Technometria for the first two months of the year a while back. I just checked for May and the numbers show steady gains for Firefox up 2% to 30% of visitors. Safari is also up over 1% to about 7.5% of visitors. Those gains come at the hands of IE and Mozilla. IE is down nearly 2% to 56%. Pretty heavy changes for just a few months. Two of my recent posts over at Between the Lines deal with enterprise computing: Does Your CEO Trust You? is a review of a recent Bain survey on what CEOs think of their IT departments. Tools for IT Transparency talks about things you can do to measure the performance of your IT organization and communicate that to the business units. 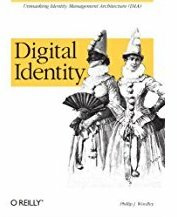 Lots of people ask about the status of my book on digital identity. I hope that means lots of people will buy it. 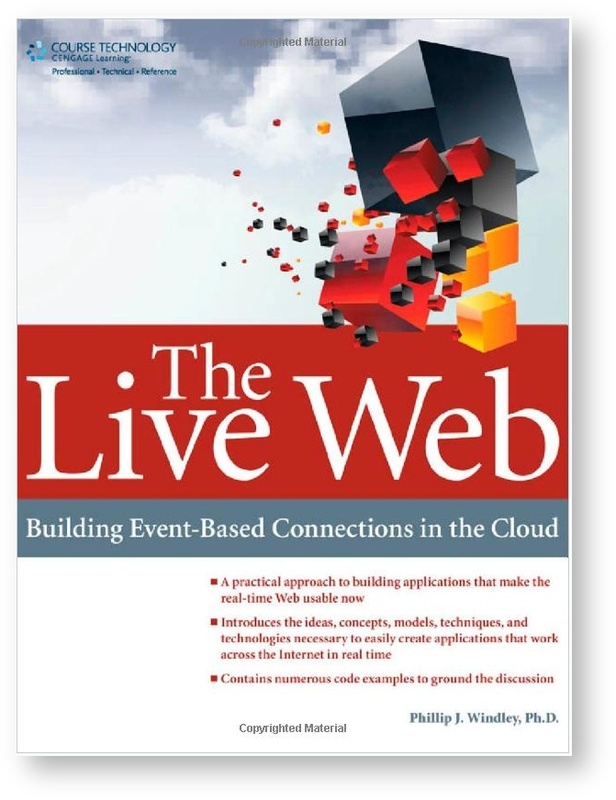 :-) I just received the first page proofs from O'Reilly yesterday and have begun reviewing them. I think it's getting close.